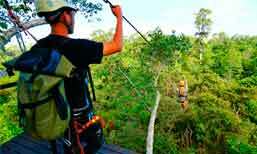 The Zipline Gold eco-adventure that has made Angkor famous. 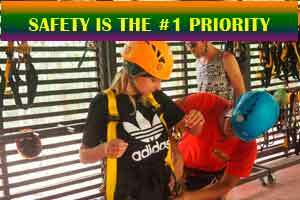 The only zipline inside Angkor Park is a safe, world-class adventure that is thrilling, while keeping an emphasis on safety & fun, with education about the jungle environment thru which you will soar . 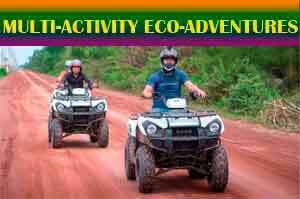 An action packed day starting with Angkor Zipline’s Gold Eco-Adventure in the morning, then a Khmer meal, and then a guided Quad ride to a Buddhist Temple in the afternoon. 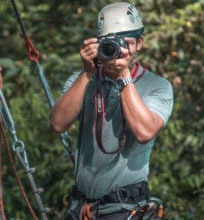 Add a personal photographer to the zipline portion of your tour. It’s affordable and your photographer will capture stunning and wonderful personalized memories of your eco-adventure. 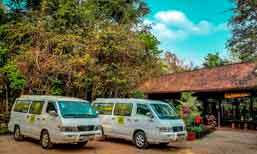 Book any of our tours, use our R/T transport in and out of Angkor Park for either our Gold or Silver Zipline Eco-Adventures and no Park Pass (value: $37/day) is required. You won’t be able to tour temples, but the majesty of the ancient park and the magic of Angkor’s jungle will provide a lifetime of memories. 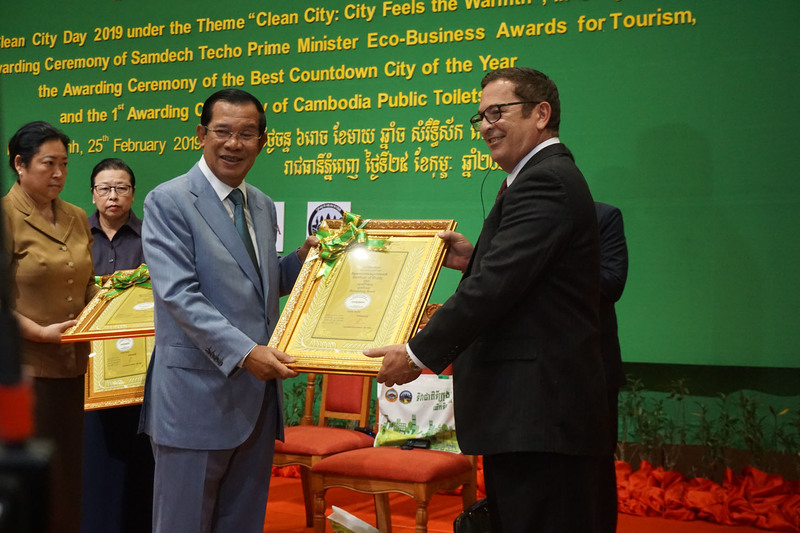 The Samdech Techo Prime Minister Tourism Eco-Business Awards is awarded to the Eco-businesses that contributed to the development of economy, environment, society and culture through their environmentally friendly activities, improvement of social welfare, maintaining and enhancement of culture, and contribution to “Cambodia: Clean and Green”. This is the third year for these awards and in 2018, Angkor Zipline won the second most awards of any business in Cambodia! Why is this important to our customers? Because we work hard to be a worldwide leader in the treatment of people, cultures, wildlife and the environment, so when join one of our tours you can feel part of making our world a better place. The Social Welfare and Heritage Award winners demonstrate the incentive for all staff to take part in charitable and social activities locally. The Best Work Place Award demonstrates a healthy workplace culture. The enterprise implements corporate health initiatives and creates an engaged workplace culture by investing time and resources to enhance the workplace experiences of the leaders, managers and all front-line employees. The Environmental Award sustainable management of natural and energy resources. The use of materials, equipment and devices that save energy or renewable energy. Tree planting, and the creation of green areas in the work place both counted highly. 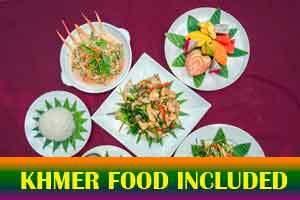 The winner also showed use of green products whenever possible. The 3 Rs Award – Recycle – Reuse -Reduce recognizes enterprises for their innovative contributions toward the 3Rs The enterprise has integrated a philosophy of sustainable development into the company core values and activities to promote sound environmental practice in daily operations. 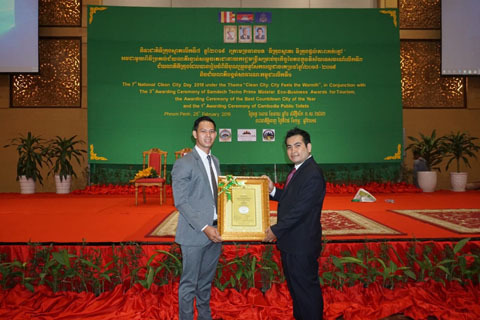 The Khmer Product Usage Award promotes the consumption of products made by farmers, handicraft makers, and other local producers in order to expand their markets for income generation and to raise the living standard of the people. To be granted the award, the applicant has to demonstrate that their enterprise is using, buying and further supporting Khmer products in the long run. Please join us when in Cambodia and help us celebrate this important recognition and see for yourself why we are winners. 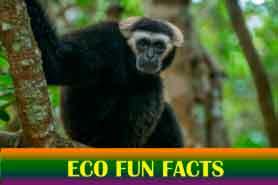 Add a personal photographer to your zipline eco-adventure, the memories last a lifetime! The Prime Minister presents Angkor Zipine with two of their five awards. Mr. Anthony, Senior Consultant, with the Prime Minister (above) receives the Environmental Award. General Managers Khem (left) and Tommy (right) received the Best Work Place Award on behalf of the hard working staff at Angkor Zipline (below).